Living... in Brainerd, Minnesota, with her husband Norm. In two months the pregnant Marge will be adding a son to their warm, loving home. Profession... police chief of Brainerd. It’s usually a pretty quiet town – a place where drunk driving is a bigger problem than murder – but her latest case is a doozy. A triple homicide. One dead state trooper, and a couple shot execution style just down the road. A lesser woman might be intimidated, but the always reliable Marge is determined to get to the bottom of the sudden and spectacular violence. Interests... preparing for the birth of her son. With two months to go, she is carrying quite a load, and all she can seem to do is eat and throw up. She wishes she had more time sit down and rest, but there's a crime to solve. Relationship Status... very happily married. Finding Norm was the best thing that ever happened to Marge. He’s kind, stable, and supportive of her work. He's also recently had a big break: his mallard artwork is going to be on a three-cent stamp, a source of pride for the happy couple. Challenge... being a cop as a pregnant woman. Fortunately, while Marge might not look like the classic model of a heroic police officer, she’s great at her job. 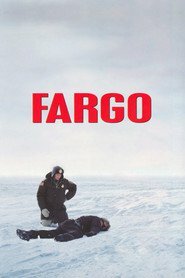 Determined, immune to intimidation, and gifted with a great understanding of people, Marge is Fargo’s best hope for tracking down the ruthless perpetrators of the triple-homicide. Marge Gunderson's popularity ranking on CharacTour is #664 out of 5,000+ characters. See our top-ranked characters and read their profiles.